Custom Designs Your satisfaction is our number one priority. Satisfied Customers We’ve built our reputation by delivering on our promises. We will transform your backyard with a custom swimming pool and provide you with an enhanced life-style. Your satisfaction is our number one priority.  We’ve become the best Phoenix pool builders and contractors by giving our customers our complete attention. In fact, we’ve built our reputation on it. When you want not just a backyard but a dream-come-true oasis, we offer you the personal attention, custom designs, and expert craftsmanship that will transform your outdoor living space into a luxurious retreat. And we do it all for a reasonable price. From spectacular pools to innovative hardscaping, custom outdoor kitchens to easily maintained gardens, we design the unique, custom spaces that complement your home, your taste, and your lifestyle. Whether you want to remodel your pool or design a gorgeous new one, we’re here for you. An exquisite custom pool, showcased by breathtaking landscaping, plus all of the features that will make your backyard the perfect private oasis, will soon be yours. When you schedule a consultation with us, our expert team takes care to listen closely so that we learn what matters most to you. Our goal is to create an outdoor living space that will more than fulfill your needs—we seek to surprise and delight you. Put our experience and creativity to the test: find out today why we’ve earned our reputation as the best Phoenix pool builders and designers. You’ll be amazed when you see just how gorgeous your backyard will be.